If you can't get her out of your head this is the bouquet to make your love real. 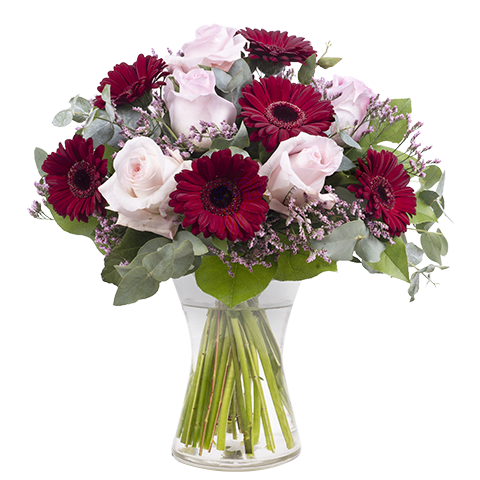 If you haven't told her how you feel yet send her this arrangement of pink roses, red gerberas and pink statice to give her a little hint. 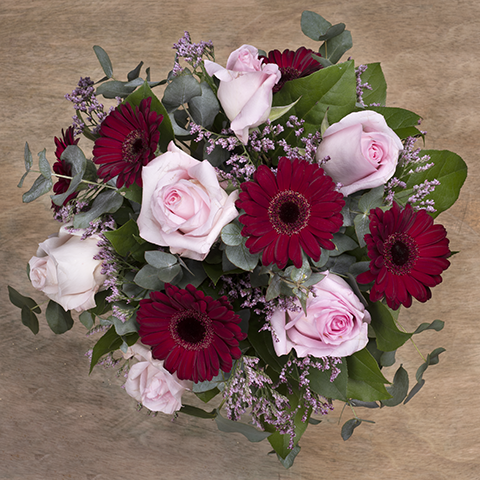 Get a smile from your platonic love on Valentine's Day with this beautiful bouquet. Each bouquet is unique and is prepared by an expert florist and our customer service team is at your service to ensure the best experience possible. Some flowers arrive a little closed to ensure extra freshness and protection during shipping. Enjoy the magic of seeing them fully bloom. Send a free written message with your bouquet of flowers. 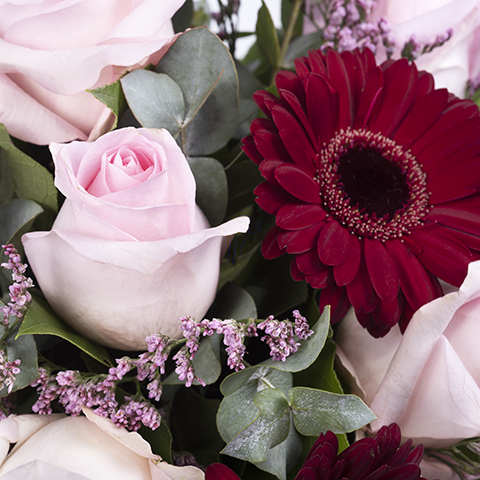 Shorten the distance between you and your recipient with flowers AND words. No results! Enter the delivery country's name in English or choose from the list below. Dear customer, We are very sorry to inform you that our florists cannot accept orders for this day. Please select another delivery date.